Development Process Management | FusionWare Integration Corp.
DevOps is the union of people, process and products to enable continuous delivery of value to your end users. At FusionWare, we believe that quality software development is a top priority. To that end, we are highly skilled in Agile Development along with DevOps for our own projects. We can bring that skill and experience to your company. We can add processes and systems to improve software quality, accelerate delivery of software and provide more insight into what is possible with your current development resources. FusionWare can help implement a full DevOps stack for your company either in conjunction with your existing software development or as part of a software solution provided by FusionWare. We help companies increase their deployment frequency, achieve a faster time to market, lower change failure rate and improve revenue. At FusionWare we believe that simply implementing a DevOps solution is not the end but rather ensuring that there is continuous learning and monitoring from the cycle is critical to a successful implementation. 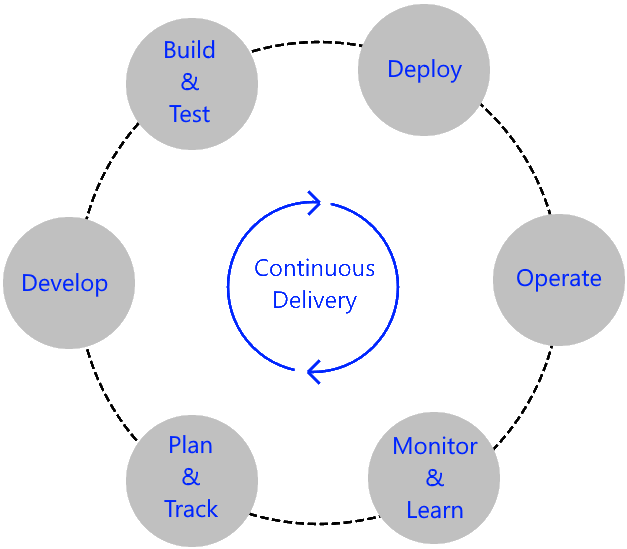 We have the needed expertise with Microsoft's Azure DevOps solution to deliver all these benefits in consultation with the way you work, quickly and easily.